The Canadian Eskimo Dog is primarily a working breed that is used for pulling sleds and hunting arctic game. They were once heavily responsible for transportation throughout the Canadian Arctic. Once, the term “Eskimo Dog” applied to most sled dogs that were kept by the native Inuit tribes. There were many different strains and types, however today they are quite rare. 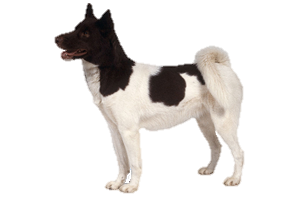 In the 1950s there were 20,000 of these dogs living in the Canadian Arctic and at that time both the American Kennel Club (AKC) and the Canadian Kennel Club (CKC) recognized the dog. In 1959 the breed was dropped by the AKC because of the loss in numbers and in 1963 only one dog was still registered with the CKC. This drastic drop was mainly caused by two different events. The first was the importation of the smaller and faster Siberian Husky and the second was the introduction of the snowmobile in the 1960s.This would have been the extinction of the breed if not for the Eskimo Dog Research Foundation (EDRF). The EDRF, along with support from the CKC, purchased about 200 dogs from remote Inuit camps and these dogs reestablished the breed, although they remain rare even today. Is the Canadian Eskimo Dog Right for You?